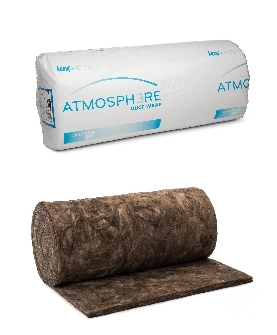 Knauf Insulation Atmosphere Duct Wrap and KN Series insulation are thermal and acoustical insulation blankets made from highly resilient, inorganic glass mineral wool bonded by ECOSE® technology. 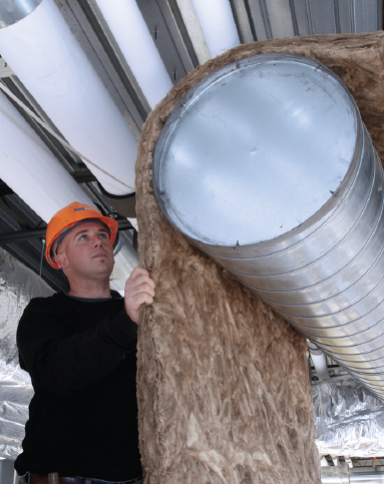 The Atmosphere Duct Wrap is designed for external insulation on commercial or residential heating and air conditioning units, and is available unfaced, with a foil-scrim-kraft (FSK) jacket and with a white metalized polypropylene-scrim-kraft (PSK) jacket. The KN Series is used as utility thermal and/or acoustical insulation and is available unfaced. KN Series has been used as the insulation material in double walled ducts.